Many companies use Chrysler, Dodge, JEEP, or Ram vehicles for their fleet of vehicles. 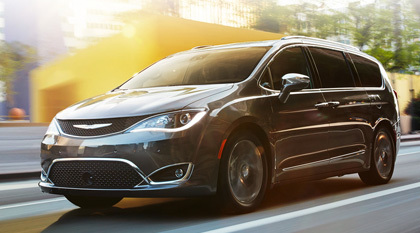 Businesses can apply to Chrysler to receive a fleet number; if the number of vehicles is great enough, they can receive a discount or invoice pricing. What a lot of companies forget to mention is that they are able to extend these offers to their employees who can also receive the great value and pricing that the general public does not receive. Chrysler Canada calls this The Chrysler Advantage Plan which is also know as Affiliate Employee Pricing. Check the list below to see if you see your company is listed. If you don't see your company listed you may still qualify for Chrysler Advantage Plan as the list of Companies switching to Chrysler, Dodge, Jeep, and Ram vehicle is increasing everyday. Contact us and we can check for you. You must be able to proof that your are Employed by the company that qualifies by presenting a Business card, Name badge, or the best is by a pay stub. From there we can process your Chrysler Advantage Plan for you. Chrysler Advantage Plan is not retail. The best part about if you qualify is that there is no need to shop for a better price. Pricing is all set by Chrysler and is the same for each Dealer (which in many cases is lower than the National Advertised Price or Manufacturer Suggested Retail Price). The discount pricing also includes many finance products including extended warranties, vehicle protection products, as well as many accessories that you can purchase. No. Chrysler extends this offer to Affiliates of Chrysler it is not a taxable benefit unless the company that you work for gives you money to purchase a vehicle then that money is taxable. If you have any questions about Chrysler Advantage Plan, please give us a call.